Fully CNC machined 6061 T6 Al Brake booster with extra stiff V section design. 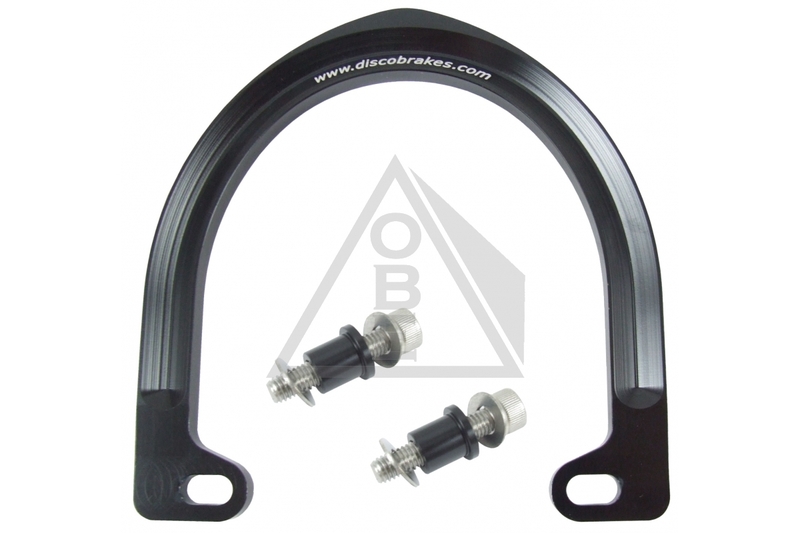 This brake booster will improve your braking performance by stiffening your seat stays or fork blades. It is compatible with both V Brakes and Cantilever brakes. Install the brake booster between the brake bosses(posts) on the frame or fork to reduce their tendency to flex under braking load. The mounting points are slotted to accommodate variances in brake boss position. Mounting hardware included. Fixing screws: M6 x 30mm long Allen head screw.